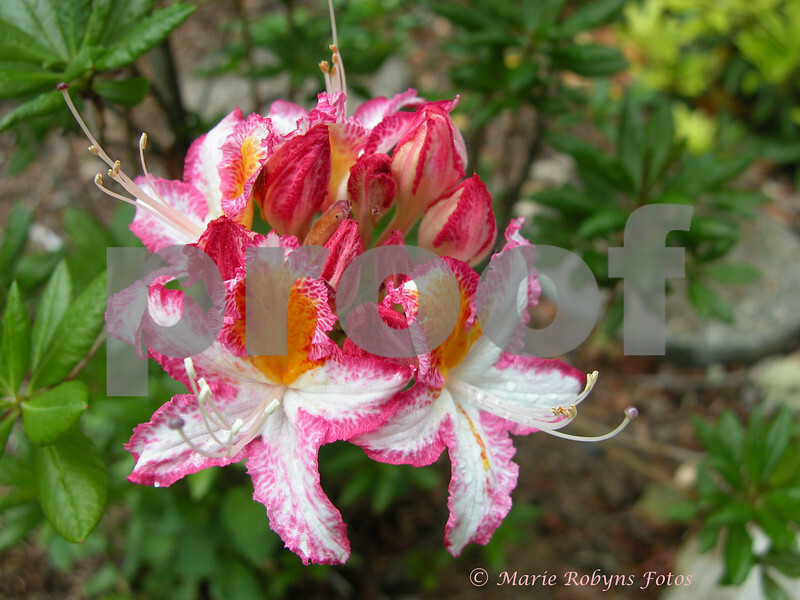 Humboldt Picotee, a selected form of azalea occidentale, blooming in a coastal Washington garden May 19, 2006. Dr. Frank Mossman and Britt Smith observed azalea occidentale in the wild and collected several very special forms of the plant for garden cultivation. Humboldt Picotee was collected on the Oregon Coast.